Rocky Rex's Science Stuff: Climate Change - Where does the heat go? As global warming continues, heat goes into all parts of the Earth's systems. 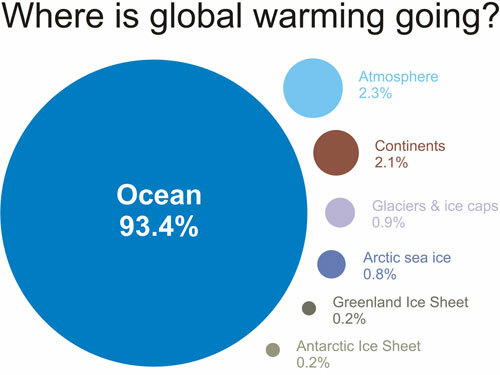 The Earth is gaining more heat than it loses, and most of that heat is going into the oceans. More heat is going into the upper parts of the oceans. 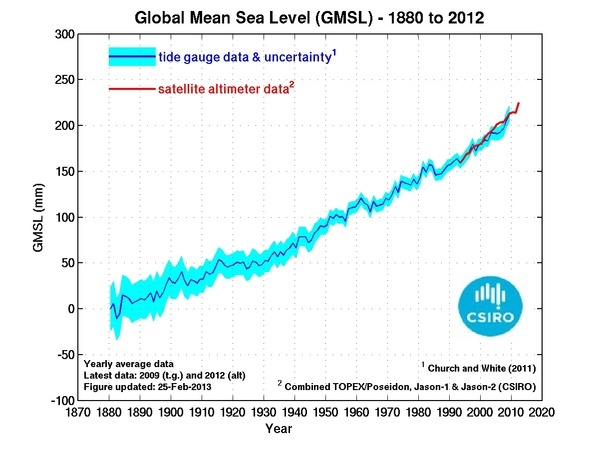 The water in the oceans is expanding, which is one reason sea level is rising. The deepest oceans are still cold. 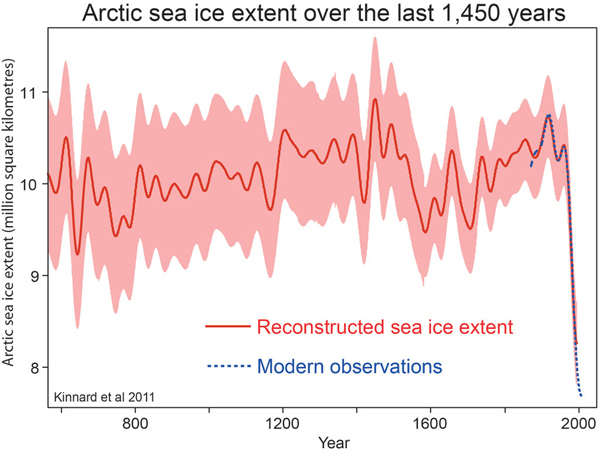 Some of the heat is involved in melting ice, including Arctic sea ice. The recent reduction in Arctic sea ice is very dramatic. The ice sheets of Greenland and Antarctica are also melting.